You’ve seen them hanging out of the windows of homes across the country. Those loud, bulky, unattractive contraptions working overtime to keep rooms and everyone in them cool. While window air conditioning units do have a good deal of cooling power, they come with more inconveniences than you may realize. 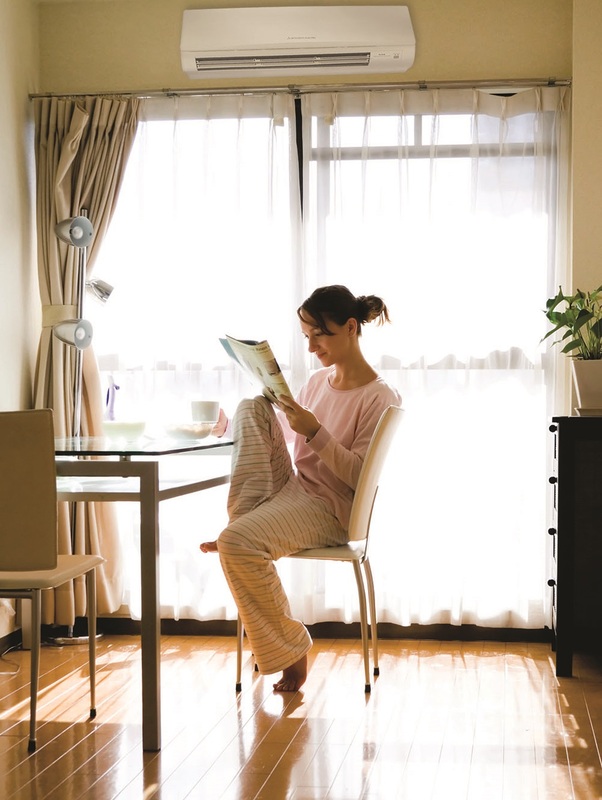 Whether you’re living in an older home without duct-work or just purchased a new home, ductless systems let you expand your comfort, regardless of the challenges in your space. If your home is still flaunting a window unit, it’s time to discover why you should go ductless. Does it sound like your window unit is putting forth tremendous effort to cool your room? That’s because it is. Ductless AC systems are up to 30 percent more efficient than window units, which means they cool your room faster and keep it that way more consistently. Plus, they’re quieter, too! If you find yourself dreading the electric bill throughout the summer, it’s time to ditch that window unit. With the ductless system, efficient operation translates to significant cost savings. Many homeowners are pleased to find their utility bills plummet when they make the switch. Not only are window units extremely inefficient, they’re just plain ugly. Sleek, minimalistic and smaller, a ductless system is hardly noticeable. The indoor unit can be wall-mounted in a low-visibility location or recessed for a more custom feel, while the outdoor unit is placed on a stable solid surface. With single-room or multi-room installation, ductless systems give you the comfort you need exactly where you need it. Plus, they can be paired with smartphones and other wireless control capabilities for the ultimate in convenient cooling. Depending on how old your window unit is, it could be doing more harm than good when it comes to your health. Not only do these units provide an ideal environment for bacteria and mold growth, they’re also not that effective at filtering dust and other allergens. Ductless systems are built with filters that remove particles and larger allergens, so you can breathe easy. And because they’re easily accessible, the filters can be cleaned and reused for up to ten years, generating less waste. If you’d like your home to be cool and comfortable without the noise and distraction of a window unit, it’s time to ditch and switch. Contact McNamara Services for a free estimate and see what upgrading to ductless can do for you. Bob McNamara, Owner, Oversees Every Job to Ensure the Highest Quality Standards.